Sean Szymkowski April 5, 2017 Comment Now! Dodge has been anything but coy regarding the fact it has a pretty powerful Challenger coming in the form of the Demon. 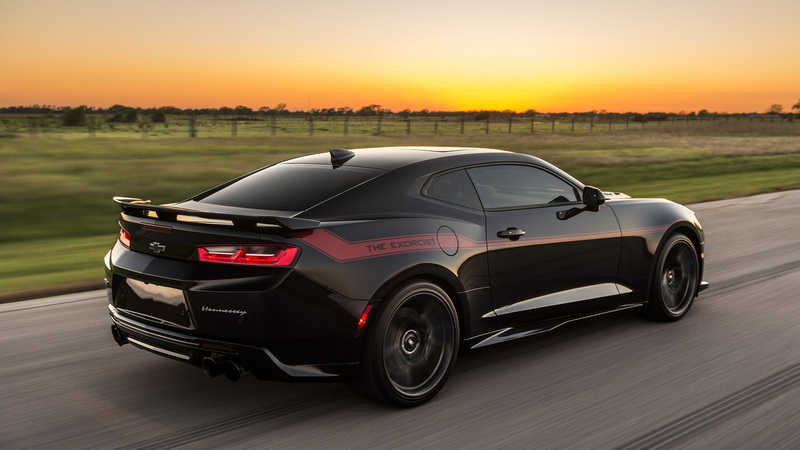 However, Hennessey Performance Engineering thinks it can beat back Mopar’s devilish muscle car. Meet Hennessey's The Exorcist. The Exorcist begins life as a normal 2017 Chevrolet Camaro ZL1, which is already no angel with 650 horsepower and 650 pound-feet of torque. But, as they say, the devil is in the details. Hennessey cranks the dial way past 11 to push the supercharged 6.2-liter LT4 V-8 out to 1,000 hp and 996 lb-ft of torque thanks in part to a larger, higher flowing supercharger and intercooler system, which is dialed in to produce 14 psi of boost pressure. The lofty power figure is also aided by ported factory cylinder heads, a camshaft upgrade, long-tube stainless steel headers, a high-flow air induction system, and custom engine management calibration from HPE. How does 1,000 hp translate to raw performance figures? Very well. 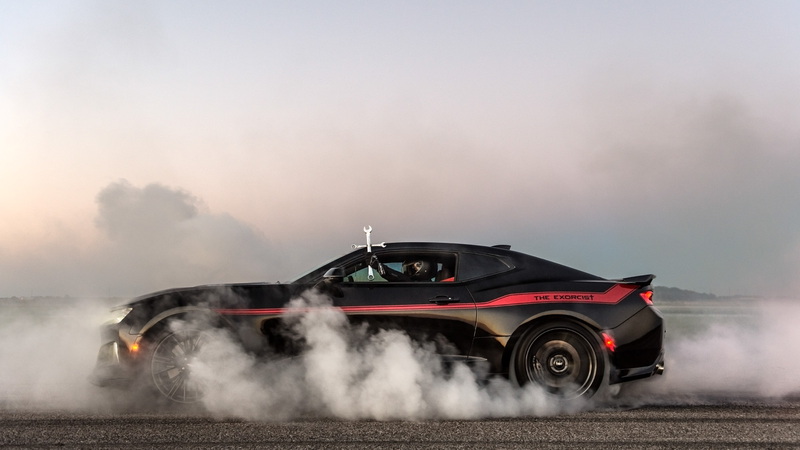 Hennessey says 0-60 mph arrives in fewer than three seconds, while the quarter-mile is clipped off in under 10 seconds. 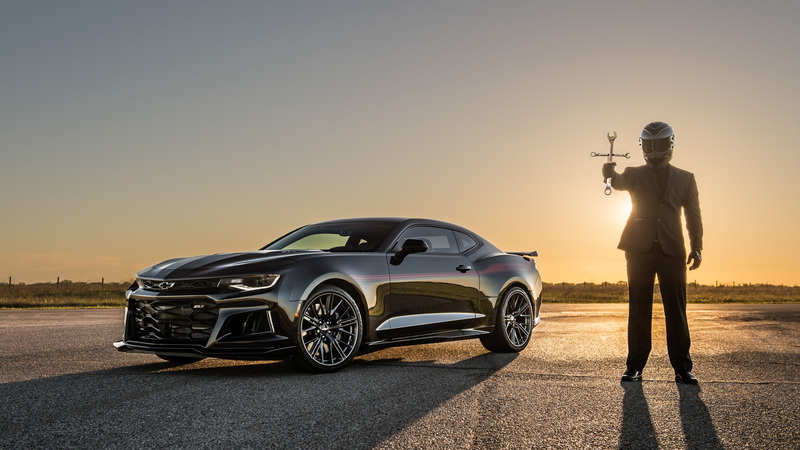 Hennessey will offer two different takes on The Exorcist Camaro ZL1, both of which require additional payment on top of the $55,000 base package price (in addition to the $62,135 for a ZL1 Camaro). An optional drag pack--which includes a pair of 20-inch wheels with 315/30R20 Nitto drag radial tires, a driveshaft upgrade, a floor jack, and tool kit--will run an extra $8,995. For those who plan to get devilish on a road course, HPE will offer a road race pack complete with a set of 20-inch lightweight Hennessey wheels and Michelin Pilot Sport Cup 2 rubber at the cost of $6,995. Additionally, 10-speed automatic equipped cars will require an upgraded transmission, which will run $9,950. 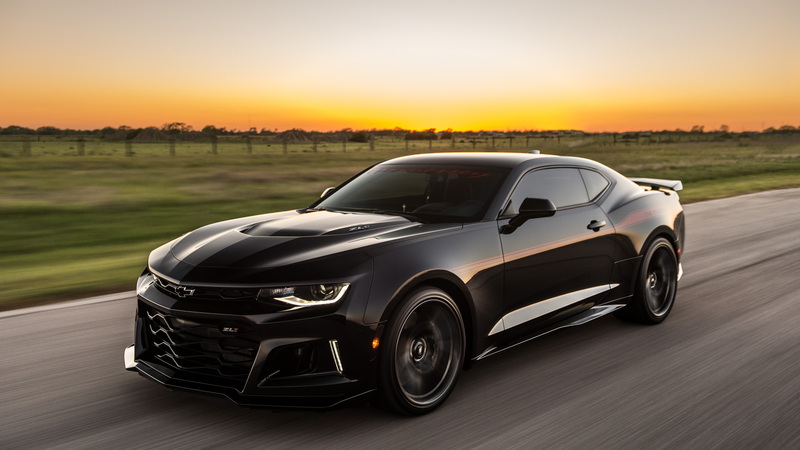 The Exorcist better be able to best the Demon because when you factor in the price of a ZL1, its base price is $117,135, and that's without either of the packages, which customers will certainly want. Buyers can order through Hennessey or their local Chevrolet dealer. Hennessey plans to produce just 100 units of The Exorcist per year. That's not a lot of cars, but it's enough that Dodge Demon customers best be careful of impromptu exorcisms occurring at dragstrips and road courses all across the U.S.